Google App Engine is a cloud computing platform for devoloping for hosting and devoloping web applications in data centers managed by Google. With that said, Google App Engine is a platform as service (PaaS). App Engine applications are easy to build, easy to maintain, and easy to scale as your traffic and data storage needs change. With Google App Engine there are no servers for you to maintain. 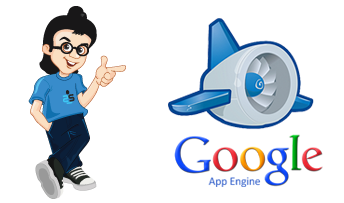 Google App Engine provides a platform for web applications like python which helps us to deploy the web apps easily. The best thing in App Engine is its portability. The framework is basically open source, and most of the APIs are used for portability, which in turn makes your job of migrating to another server hell a lot easier. It also provides a feature called ‘Vendor-Lock’, which prevents your apps from relating to unwanted databases. You can also try the AppScale, which is yet another open-source project that works very similar to AppEngine. Applications run in a secure, sandboxed environment, allowing App Engine to distribute requests across multiple servers, and scaling servers to meet traffic demands. Your application runs within its own secure, reliable environment that is independent of the hardware, operating system, or physical location of the server. App Engine provides more infrastructure to make it easy to write scalable applications, but can only run a limited range of applications designed for that infrastructure. App Engine’s infrastructure removes many of the system administration and development challenges of building applications to scale to hundreds of requests per second. Google previewed a zero maintenance SQL database, which supports JDBC and DB-API. This service allows to create, configure, and use relational databases with App Engine applications. For getting more details on Google App Engine Solutions please use the contact form given below.